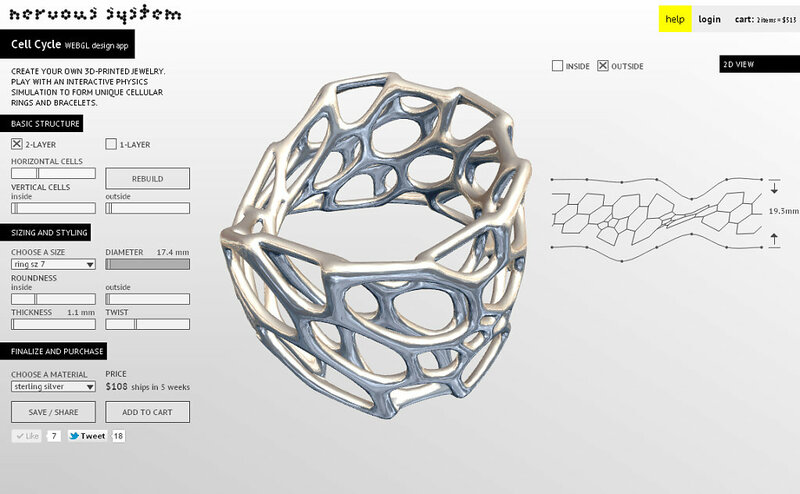 Cell Cycle is a web-based design app inspired by the microscopic structures built by Radiolaria that we created to make complex 3d modeling of cellular structures easy and engaging. 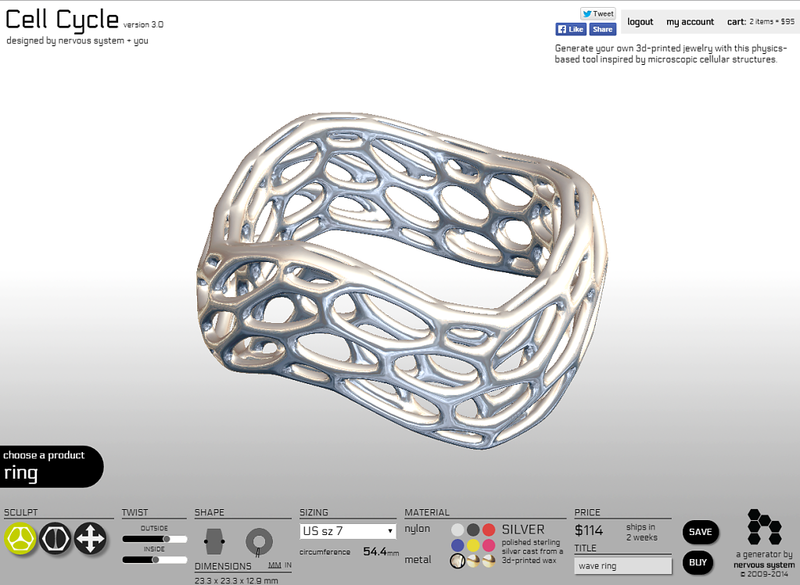 Without downloading any software, our customers can design their own rings, bracelets or art pieces for 3d printing in plastic or precious metal. 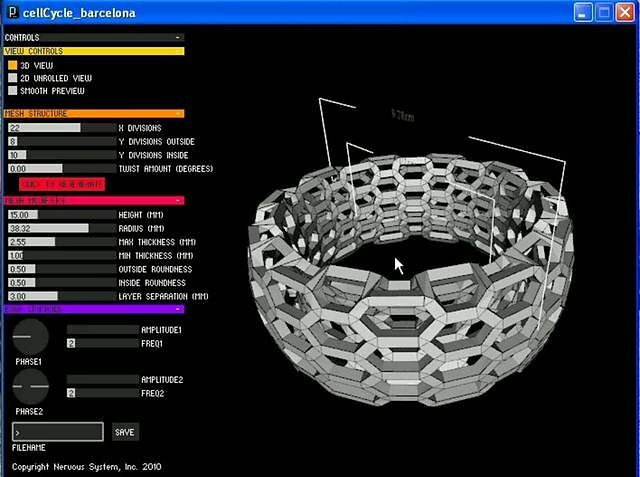 You sculpt a responsive physics simulation of a spring mesh, twisting, morphing and subdividing cells to transform a basic mesh into an intricate, customized structure. 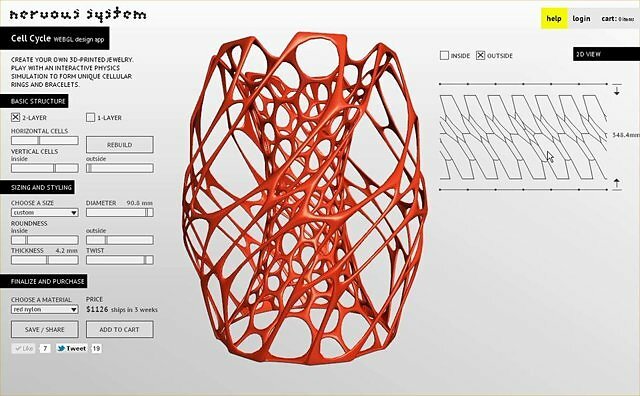 Designs can be shared and forked, creating a new paradigm of design authorship. Everything you design is always printable and the pricing of the designs is updated in real time. With every change you make, you see how that effects the cost to manufacture. Cell Cycle allows anyone to make one of kind, complex objects that would be very difficult to design or manufacture by traditional means.